We had an abnormally warm and pleasant weekend — in the high 50°s. Which is practically unheard of for this time of year. 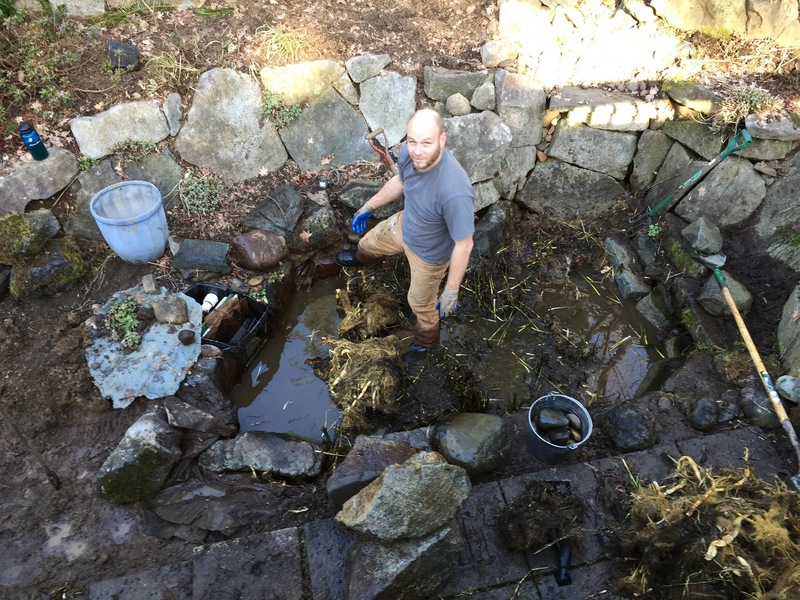 It was the perfect winter weather for cleaning/weeding the pond. 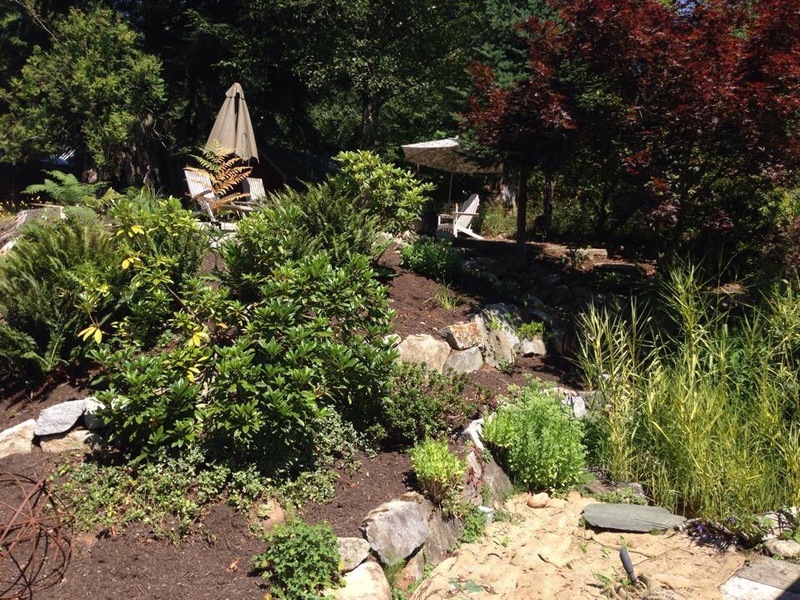 Here’s the pond last summer — hidden under the grass in the lower right. As you can see, it’s a small pond that’s been taken over by an invasive grass. 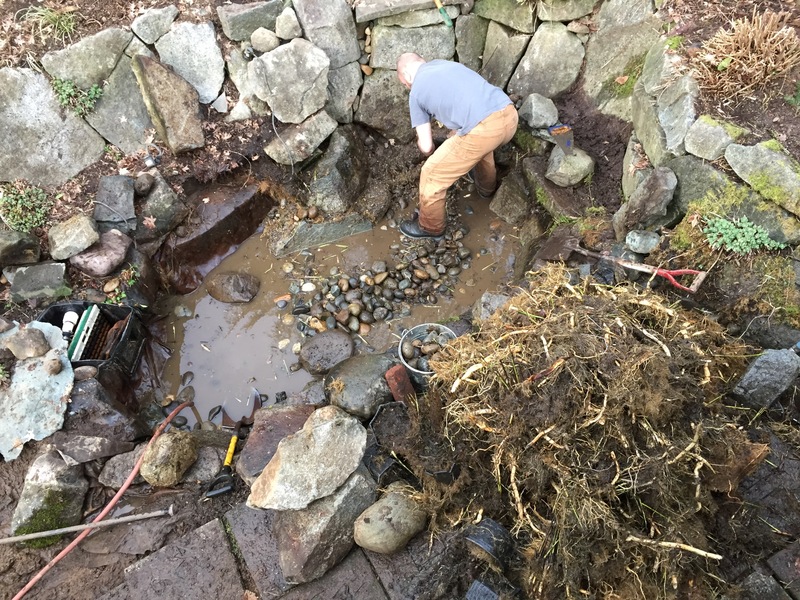 We had no idea how bad it was until we drained the pond and started tugging away at weeds – some sections were over a foot deep. Yikes. Here’s the ‘in progress’ picture. It took most of the day but it’s done — we are a concerned the grass will come back. We plan to toss the grass debris in the garbage instead of composting (I’m not taking any chances). It’s the tiny and hidden roots we’re worried about spreading again. One thought is leaving the pond dry all summer to dry up any remaining roots. I’d prefer we fill up the pond and enjoy it. Then hand pull any new grass starts that pop-up. I’m not sure what kind of grass it is. Anyone have similar experience? Thoughts?